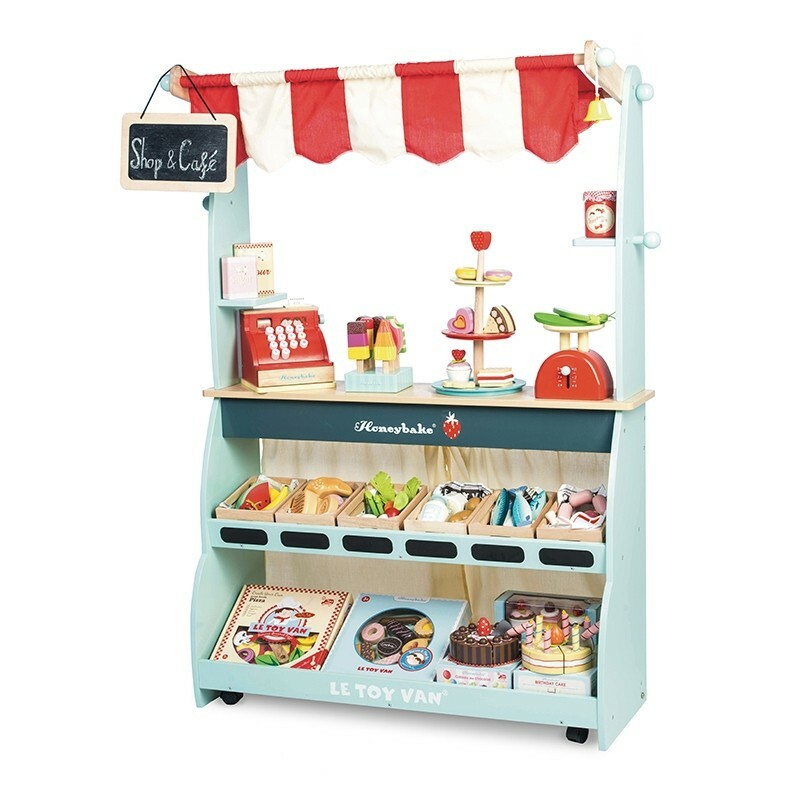 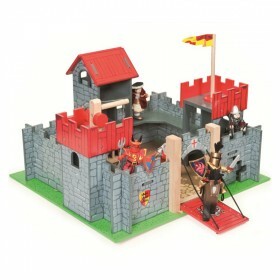 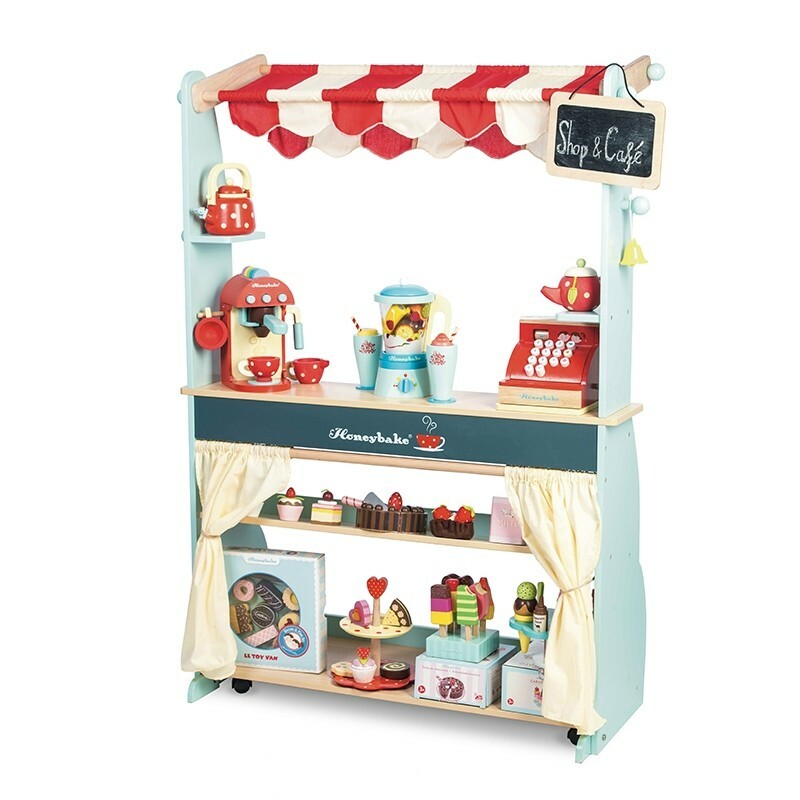 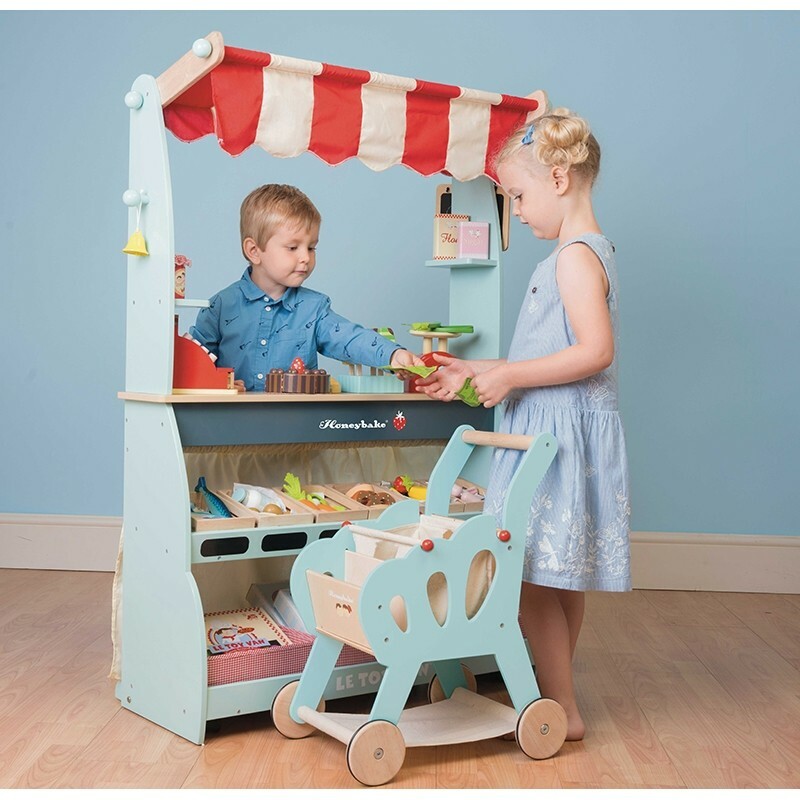 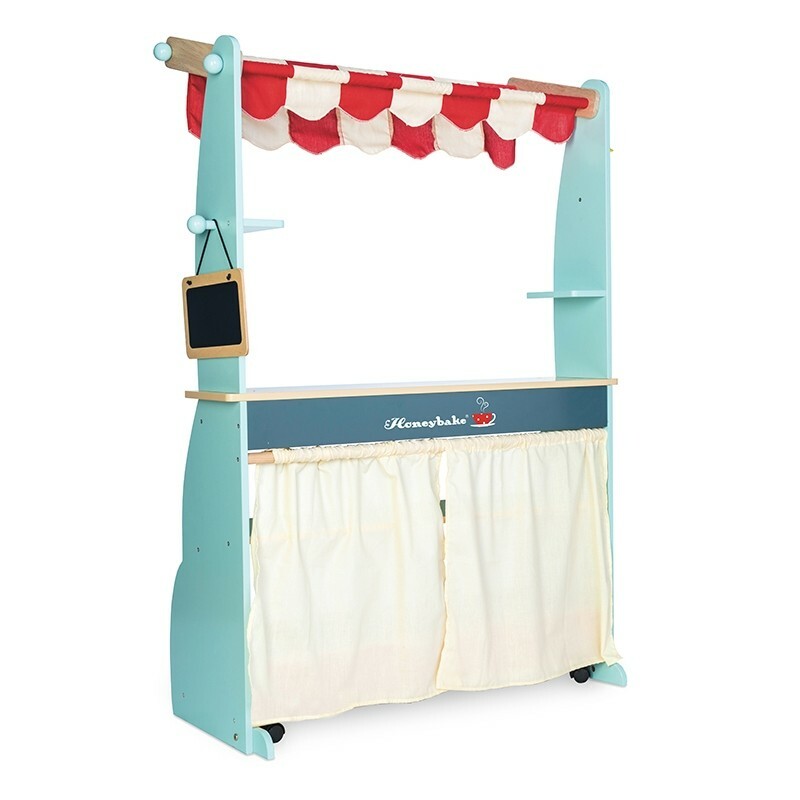 A two in one reversible wooden Shop and Café stall on wheels with 2 stabilisers ,exclusive to the Honeybake collection. 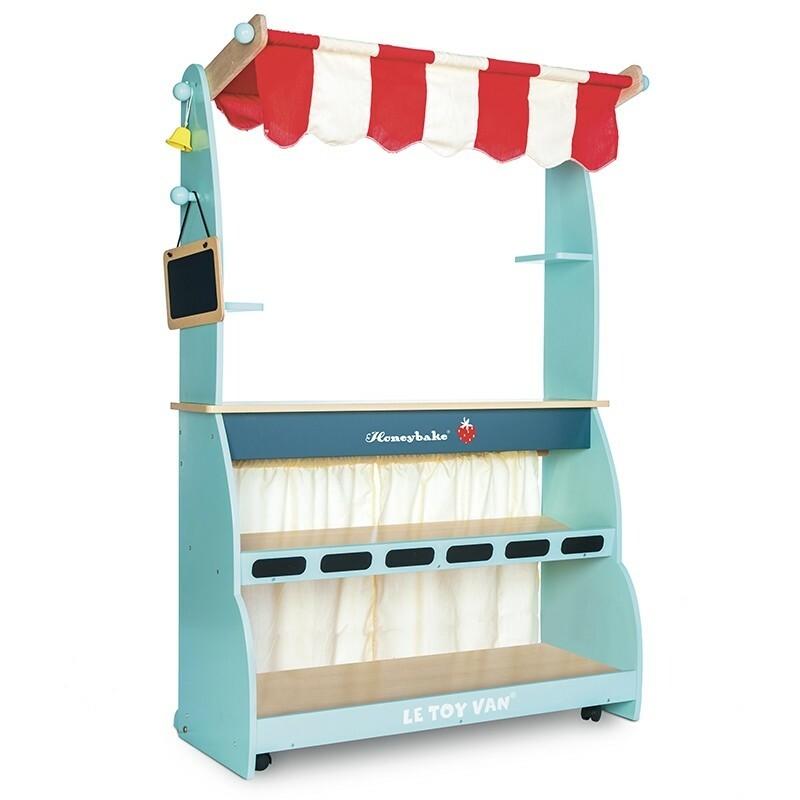 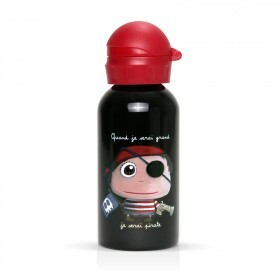 Complete with: a reversible chalkboard and a bell. 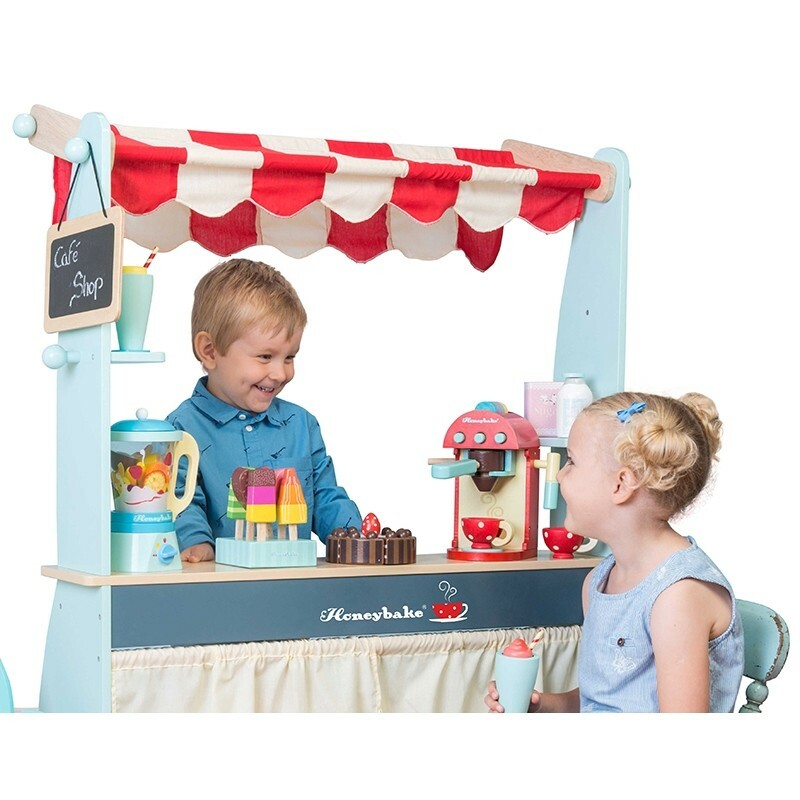 With the Shop & Café Honeybake, children develop their social skills, speech, sharing and turn taking through imaginative play.